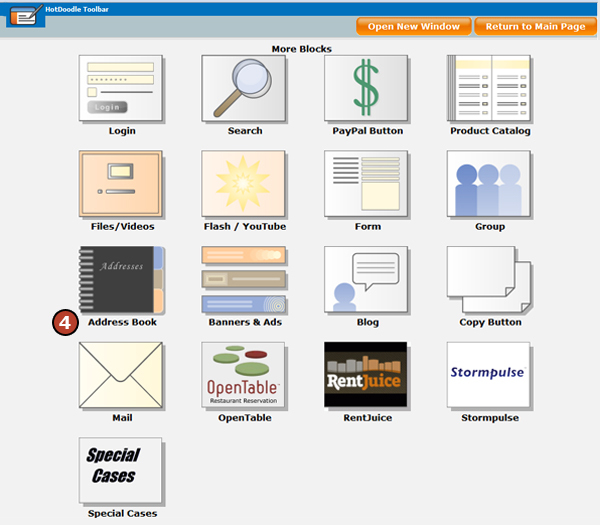 An address book is a specialized block in HotDoodle that allows you to keep track of user information such as name, address, phone number, etc. Upload – The term “upload” refers to the action of transferring a file from a user’s hard drive up to a web server, in this case HotDoodle. Almost any type of file can be uploaded to your website. 4. 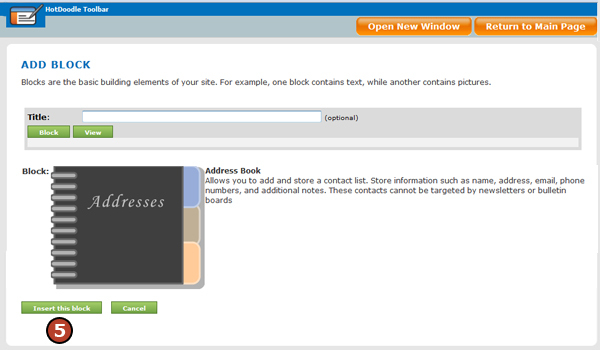 Click on "Address Book" block. 5. Click on the Insert this block button. 6. Click on the "Add Contact" link. 7. 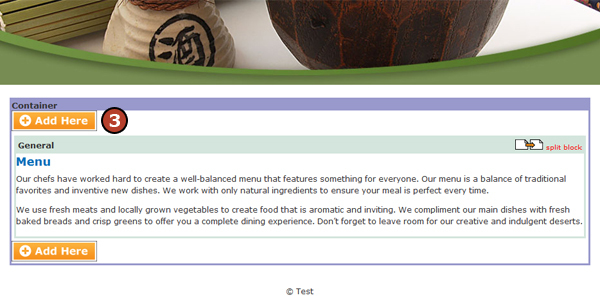 Type the details about the contact. 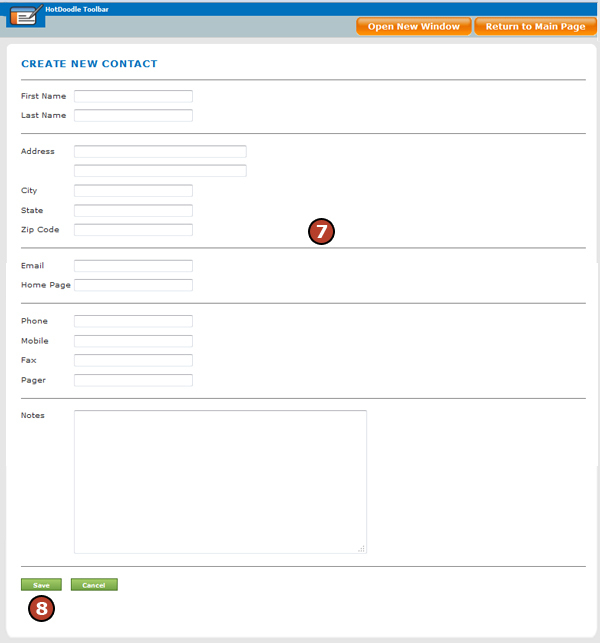 A list of contacts displays on the website with an buttons to edit or delete the contact.